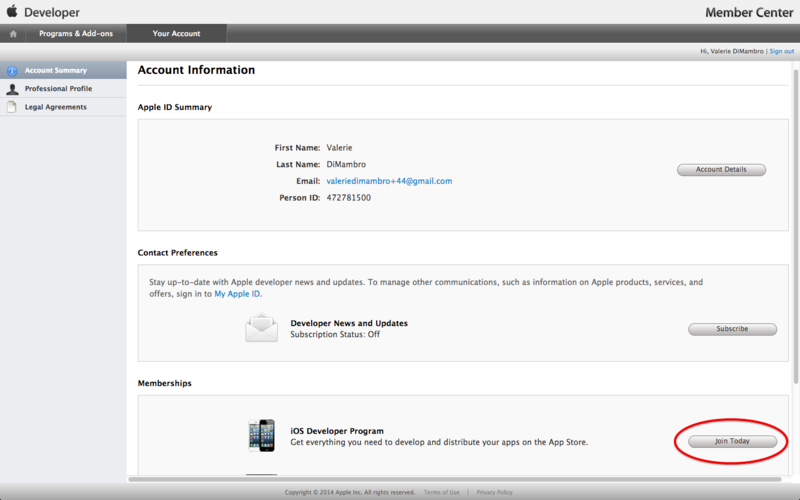 The Apple Developer Program allows you to publish apps and install a proof version on your own devices before submission. 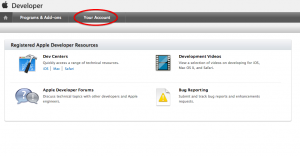 All you need is a login (Apple ID) and completing an enrollment. 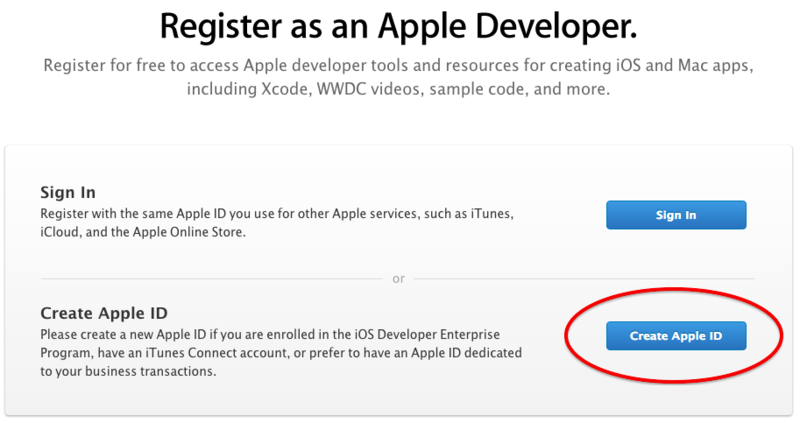 Once the enrollment is complete, Apple will process the forms and send you an activation notice when they approve your application. 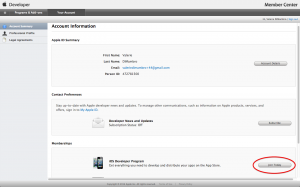 Apple makes the enrollment easy – simply complete the steps and read each email carefully you receive from Apple. 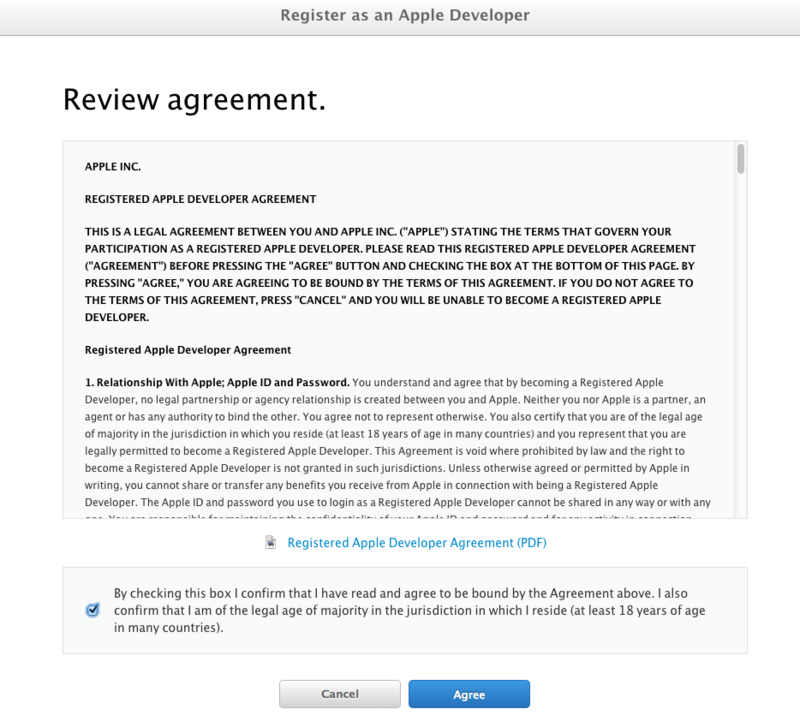 The legal authority to bind your company/organization to Apple Developer Program legal agreements. A registered legal entity name. This name will appear as the “Seller” in the App Store. 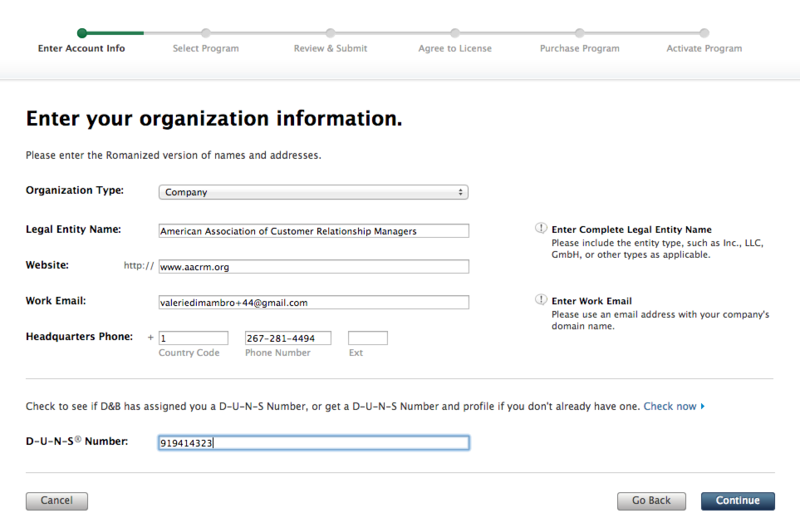 The following are not accepted: DBAs, Fictitious Businesses, Trade names, or branches. Address for the company’s principal place of business or corporate headquarters. A D-U-N-S Number assigned to a legal entity. A valid credit card for purchase. 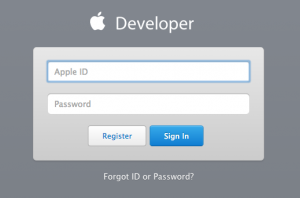 Go to https://developer.apple.com/register/index.action to create a new Apple ID which is simply going to be your login to your future developer account. Complete all the required fields. 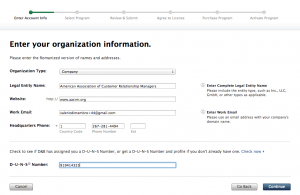 Apple will send you an email to verify your new ID. Please verify your new Apple ID. 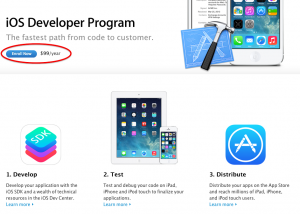 Go to: http://developer.apple.com/programs/ios/ and click on Enroll Now button. Read Terms and Conditions. Click Agree. Tell Apple about your Primary Role and Experience. What are you developing? 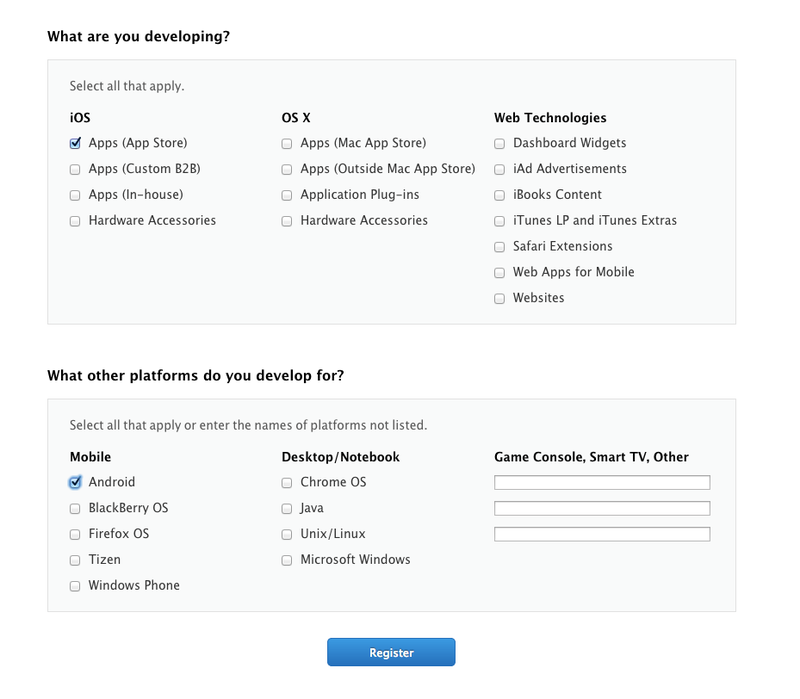 Choose iOS Apps (App Store). Select Android for Additional Platforms. You will be brought to the Member Center. 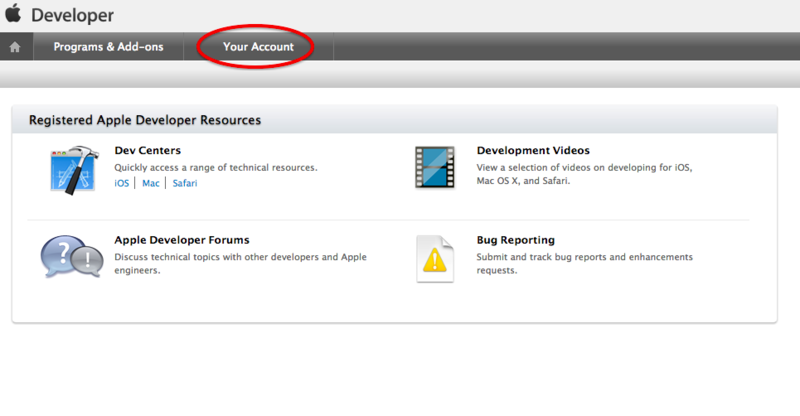 Choose Your Account in the member center (Developer Center URL https://developer.apple.com/devcenter/ios/index.action). Choose iOS Developer Program from the Memberships section and press the Enroll Now button. Select Company button on the bottom. 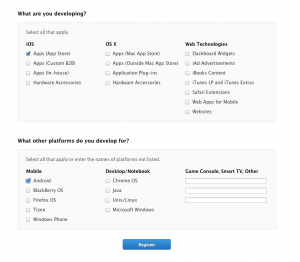 Complete the information regarding legal authorization for developing apps for your company. Click Continue. Complete the fields as instructed and ensure the organization name you enter matches exactly the organization name as stated in your articles of incorporation. Please include your 9 digit D-U-N-S number if you have it available. Click Continue. 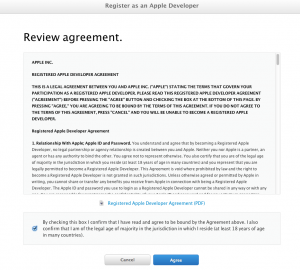 Review any emails from Apple regarding any follow up steps to complete your enrollment. You may need to fax a copy of your Articles of Incorporation to Apple. Please note: Actual enrollment approval can take several weeks. 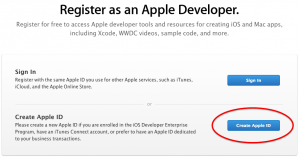 Once approved by Apple, you will receive an activation code to activate your account. You can view the Status of your Program Enrollment on the Member Center Home Page.